Transylvanian born Teodor Flonta is a retired academic and author of multilingual proverb dictionaries. He lives in Tasmania, Australia, with his wife, Ariella, surrounded by beautiful grandchildren. Teodor was born in 1946 in Lupoaia, a village in Bihor county, Romania. He grew up in a hardworking, honest and down to earth peasant family, who were persecuted by the communist regime precisely for these qualities. His father, Pavel, was declared a chiabur – enemy of the people – at the age of 29, the youngest man in the county to be marked with such a stigma. 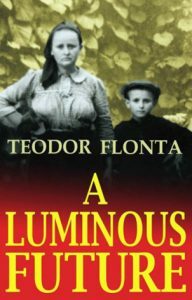 Although he has lived for over 4 decades in a better world than the one his parents experienced, the shocking events that have haunted his family, his village and country after the instalment of the communist regime followed Teodor wherever he went. After his retirement from the University of Tasmania, he described the drama of those tumultuous times in the novel A Luminous Future. In his second novel, Paper Rings, he describes the condition of being a prisoner in one’s own country, when Romanians, during Ceauşescu’s years, were denied the right to have contact with foreigners. In 1968, when he was a student in Bucharest, Teodor met a young Italian, Ariella, at an international congress of linguistics. After a series of dramatic events, her love rescued him.